Stan Alexander from The Darts came into the workshop over the weekend. 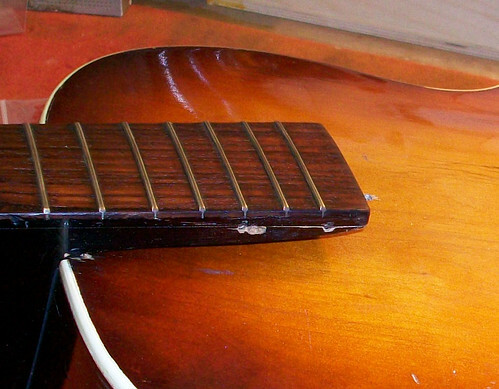 He called to collect his Michigan Jazz guitar which has been restored. The guitar has been in Stan’s possession for many years and remained stored in his attic for several decades. All in all it was a sad case. 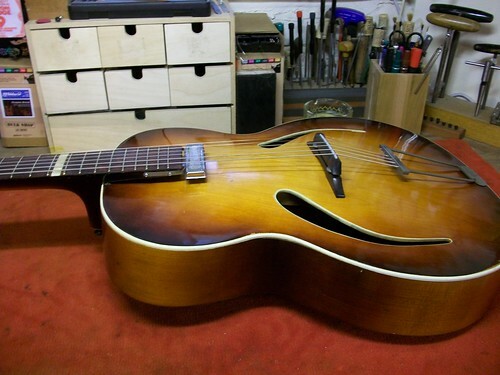 However, over the course of a few weeks work commenced on the old jazz veteran and the guitar was put back together piece by piece. 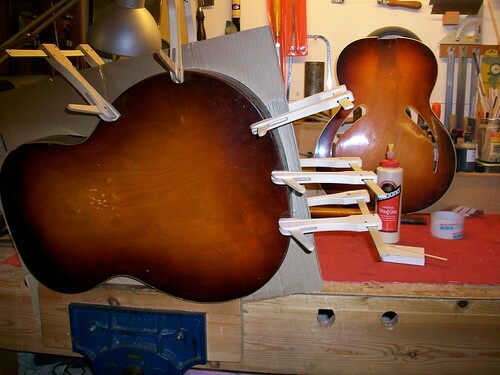 Firstly, to get to the loose and cracked bass bars* the soundboard was removed, the bass bars repaired, cleaned up and re-glued. A temporary mould was made up using stiff cardboard. This was a precautionary measure to ensure that the ribs retained their shape. 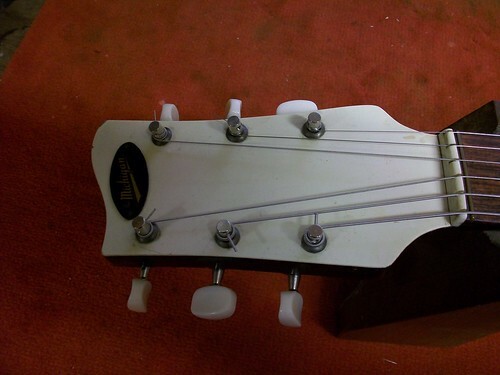 *Bass bars are the internal strutting that help give the soundboard its stiffness and is partially responsible for the “acoustic” sound of the guitar. 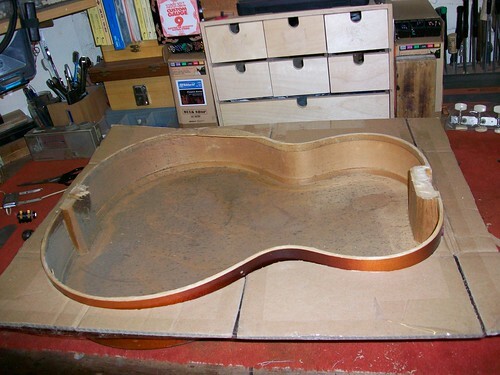 With the soundboard removed the repair to the ribs was made so much easier. 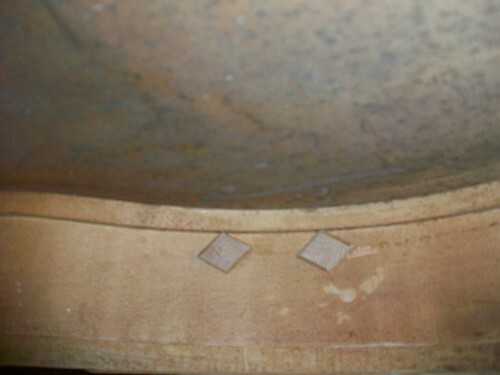 The splits were repaired and reinforced from the inside. The back was then re-glued to the ribs. The soundboard re-fitted to the ribs. 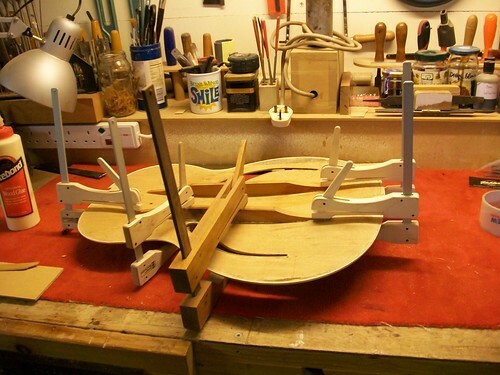 Once the body was whole again the edge bindings were cleaned up and stained where necessary. The neck was re-aligned and re-glued to the body. The whole of the completed body work was cleaned and polished. The new machine heads and bridge fitted. The guitar was strung up with heavy gauge jazz strings. The guitar played like a dream. 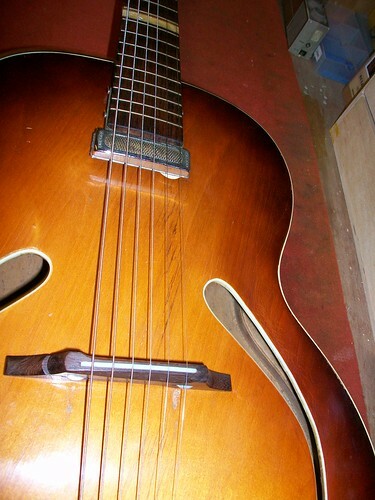 It had a low action without any buzzing on the frets, it intonated very well and sounded great acoustically, just what you would expect from a vintage jazz guitar. And when it was plugged in to an amp it sounded fantastic. Stan was delighted and used the old vintage jazzer at a jazz gig that evening. Thanks Stan, I hope the guitar gives many more years of delight. I’m anticipating some feedback on the scratchplate soon. Did you get the scratchplate sorted as a matter of interest ? Hope this is helpful ? 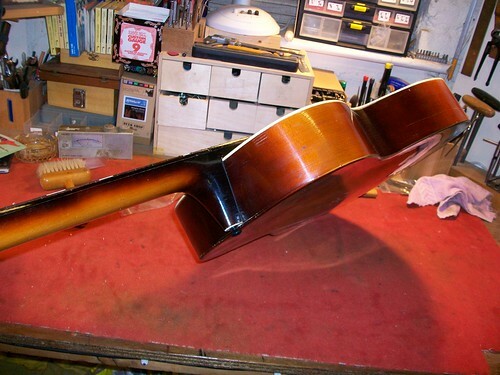 hello i have one of these and it has a crack in it…how much would it cost to repair? is it worth it? do you know how old the guitar is? Email some photos of the guitar and the split and we’ll try to help. Contact details can be found on the Contact page. Can you tell me how much the Michigan is worth? I have one in original and good condition without pick-up and looking to sell it. 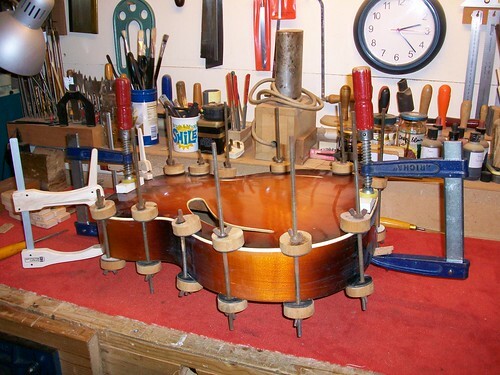 « Gibson Guitar Repair: Therapy?